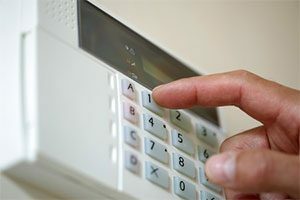 Home security systems can range from fire and burglary alarms, door and window entry alarms, internal and external video monitoring systems, to complete home automation systems. What are the key home security considerations to help you determine which solution is right for you? Most systems these days are hybrids of some sort but it’s good to consider how much equipment much be hard-wired and installed into your home versus less intrusive wireless solutions. As technologies change, so will the long-term viability of your solution. Also, some systems can be impacted by loss of power or loss of internet connection. 2) Standard Alarm vs Smart Home? With most advanced systems you can connect and control almost anything in your home from a smart phone app. But, how much is too much? Which functionality features will you actually use? Consider the right amount of automation for your lifestyle and budget. 3) Self-Monitored or CSAA Certified? The do-it-yourself market has introduced many new products to the market. For the tech savvy, this can be a liberating development. But for those with less skill or know-how you might be purchasing a false sense of security. Be sure you understand the difference of self-monitoring from external security notification. And ensure the solution you choose is correctly installed and backed by security professionals. Costs will vary greatly depending on your essential needs and services. While DIY models can save you on the installation fees, the trade-off is centralized monitoring and response. Installed services usually cost under $500 with monthly fees of $30 to $50. Speak with your local provider for a full assessment of your requirements and they can recommend a customized solution that’s just right for you.